This article is about the men's team. For the women's team, see Jamaica women's national basketball team. 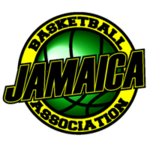 Jamaica national basketball team is governed by the Jamaica Basketball Association. The team had its best performance at the 2013 FIBA Americas Championship where it beat the two former world champions Brazil and Argentina. The team finished in seventh place in the 2006 Centrobasket with a 1-4 record. The lone victory was a 100-57 win over Costa Rica. In the 2010 Centrobasket, led by Roy Hibbert, they finished in fifth place with a record of 2–2. The 2012 Centrobasket saw them win their first medal (bronze). Team for the 2014 Centrobasket. Team for the 2013 FIBA Americas Championship. ^ a b Basketball Jamaica Retrieved 15 Dec 2015. ^ Profile | Jamaica, Fiba.com. Retrieved 15 Dec 2015. ^ Jamaica | 2014 Centrobasket Championship, ARCHIVE.FIBA.COM. Retrieved 16 Dec 2015.